The Pasadena Playhouse puts on plays amazing plays year round. 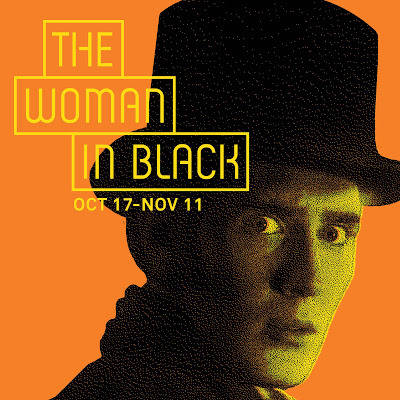 Currently they have "The Woman in Black" running until November 11. Here's a quick contest to enjoy this incredible play on November 9. 2 tickets to THE WOMAN IN BLACK at the Pasadena Playhouse for Nov. 9 at 8 p.m.
To enter you must be subscribed to my YouTube channel: Thisfunktional and follow instagram.com/Thisfunktional and email me your full name and mailing address with the subject line #ThisfunktionalContest #PPHTheWomanInBlack to Thisfunktional@Gmail.com. Disclaimer: Winners will be chosen randomly. Contest runs to November 09. 2018 at noon. No purchase necessary. Prize provided by Pasadena Playhouse. Only open to the U.S., no PO Boxes or international addresses. Only one entry per household. Entries on behalf of another person will not be accepted and joint submissions are not allowed. We will not accept entries of contestants who have claimed a prize in the last 6 months. Pasadena Playhouse, the State Theater of California, presents London’s second longest-running West End play The Woman in Black, Wednesday, October 17 through Sunday, November 11. (Press opening is October 18). Over eight million people have lived to tell the tale of one of the most successful – and terrifying - theatre events ever staged. It is coming to rattle audiences in Pasadena just in time for Halloween, with all the stage wizardry that has led audiences in London to shriek in fear for over 28 years. For this production, director Robin Herford is recreating his original staging for the first time in the United States. Susan Hill’s gothic ghost story, adapted for the stage by Stephen Mallatratt, is set in an isolated windswept mansion -- with tragic secrets hidden behind its shuttered windows. There, a young lawyer encounters horrific visions in the house set amidst the eerie marshes and howling winds of England’s forbidding North Coast. He is a man obsessed, believing that his family has been cursed by a ghostly woman in black; he tells his terrifying story to exorcise the fear that grips his soul. It all begins innocently enough, but as he reaches further into his darkest memories, he quickly finds that there is no turning back. With just two actors, The Woman in Black gives audiences an evening of unremitting drama and sheer theatricality as they are transported into a chilling and ghostly world. The Woman in Black stars Bradley Armacost as Arthur Kipps and Adam Wesley Brown as The Actor. Susan Hill’s novel, The Woman in Black was originally published in 1983. Stephen Mallatratt adapted for the stage in 1987 and it was produced as a low-budget holiday show at the Stephen Joseph Theatre in Scarborough, U.K., where Herford was Artistic Director. The play transferred to London’s West End in January 1989. If this sounds familiar, this classic chiller was released as a major motion picture starring Daniel Radcliffe in 2012, and is the highest grossing British thriller in 20 years. Tickets start at $25 and are available at pasadenaplayhouse.org, by phone at 626-356-7529, and at the box office at 39 South El Molino Avenue, Pasadena, CA 91101. This American premiere production of the original London West End production, is presented by PW Productions and Pemberley Productions. Black followed by a live recording of the podcast Hollyweird Paranormal - a podcast about Hollywood True Crime and the Paranormal based out of Los Angeles, CA. Hosts, Tammie Merheb-Chavez and Brice Mitchell Williams, share tales of true crime, the paranormal aftermath of those crimes and other Californian based lore. Episodes air every Sunday on Itunes, Google Play, TuneIn and Stitcher. The Pasadena Playhouse is a place where people have gathered for 100 years to experience bold and important theater. It is one of the most prolific theaters in American history with a legacy of profound theatrical impact and courageous new work. In 1937, the Playhouse was officially recognized as the State Theater of California for its contribution and commitment to the dramatic arts. Today it continues that tradition of excellence under the helm of producing artistic director Danny Feldman. Dedicated to enriching lives through theater, community programs and learning initiatives, Pasadena Playhouse is a living force in the community.